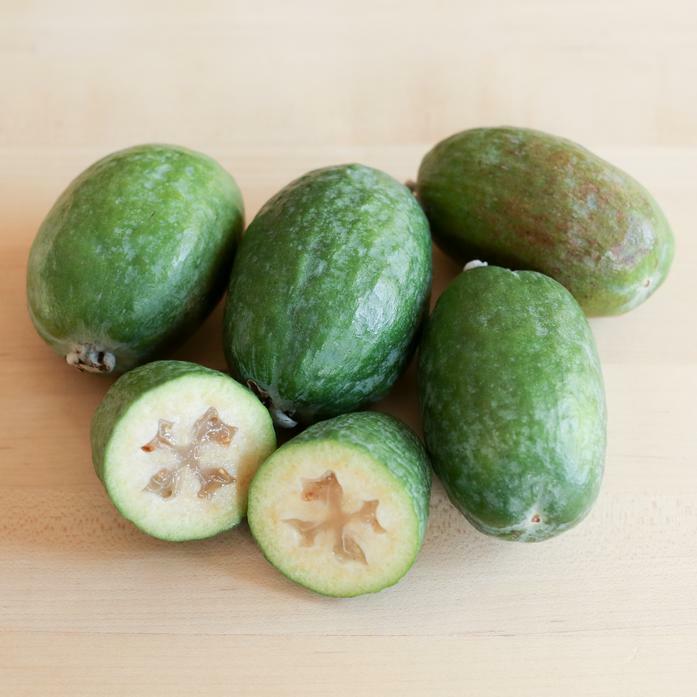 Extremely fragrant, pineapple guava has a soft texture similar to a pear, with a unique flavor reminiscent of pineapple. Gigi's Rancho El Rincon, a 6th generation family farm, specializes in rare and exotic fruits. The fruit is hand-picked to ensure the finest quality.